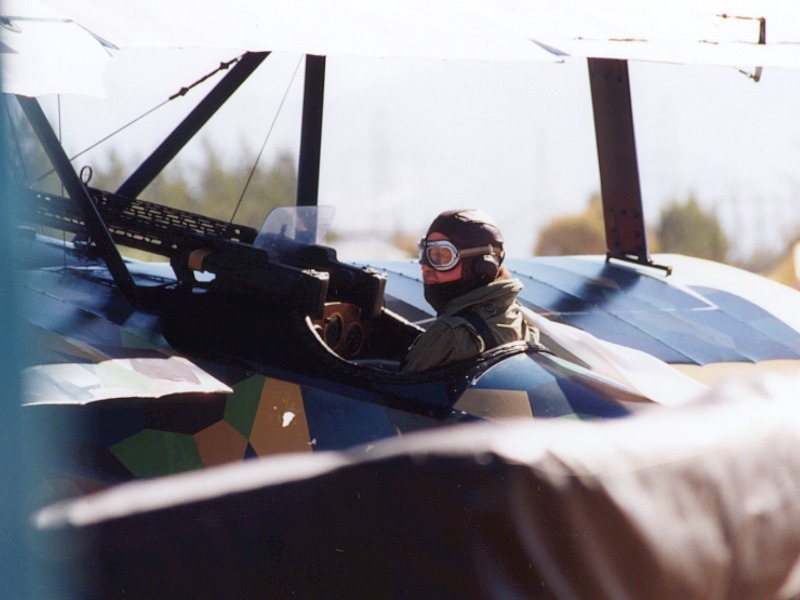 After a very successful fly-in held over Easter weekend, 1999, the organisers of those biennial events decided that for 2001, they'd stage a full-blown airshow to try to raise money for an aviation museum to be established at Omaka airfield. The idea was to run a fun airshow that still had the feel of a fly-in for participants but with ongoing entertainment for the public. In addition, it was felt important to bring some interesting machines to Omaka that hadn't been seen before. A unique gathering of WW-II fighters comprised a Spitfire, Hurricane, Kittyhawk, two Mustangs and the CAC Boomerang brought from Australia by Lynette Zuccoli and her team, just for the show. Another major draw-card was the first ever serious effort to run a First World War sequence at a show in the Southern Hemisphere. Without many aircraft available, the airfield volunteers built a 'French chateau', base for the German Air Service Fokker Dr.I and D.VIII, the latter a full size static mock-up, also built for the show. 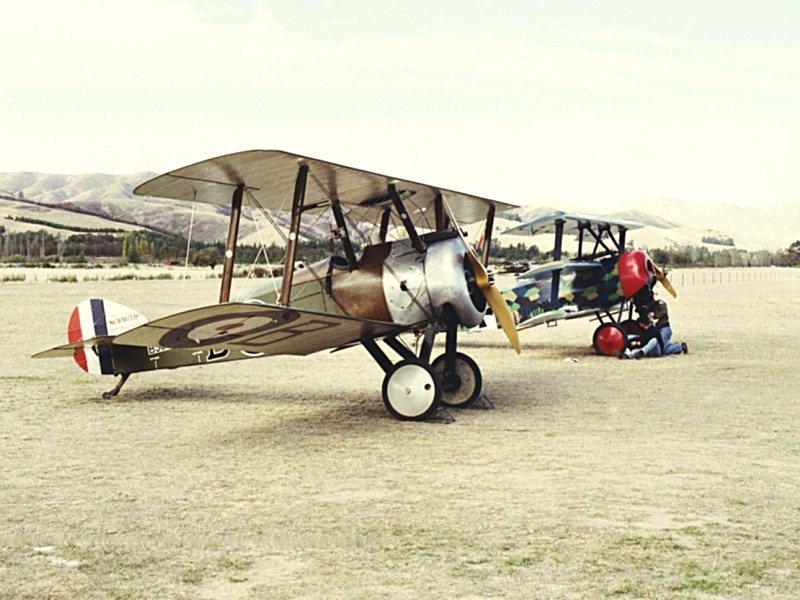 These were to be attacked from the air by TVAL's Sopwith Camel and a beautiful Bristol Fighter replica which had just arrived from the USA in time for the show. Added to these were a mock-up British Mk.I tank and a German observation balloon. The crowd loved this sequence and it set the stage for future WW-I flying scenarios at New Zealand Airshows. NOTE: Ed & Pete were also the builders of the F2B 100% scale replica, powered by a Ranger 6-440 engine.